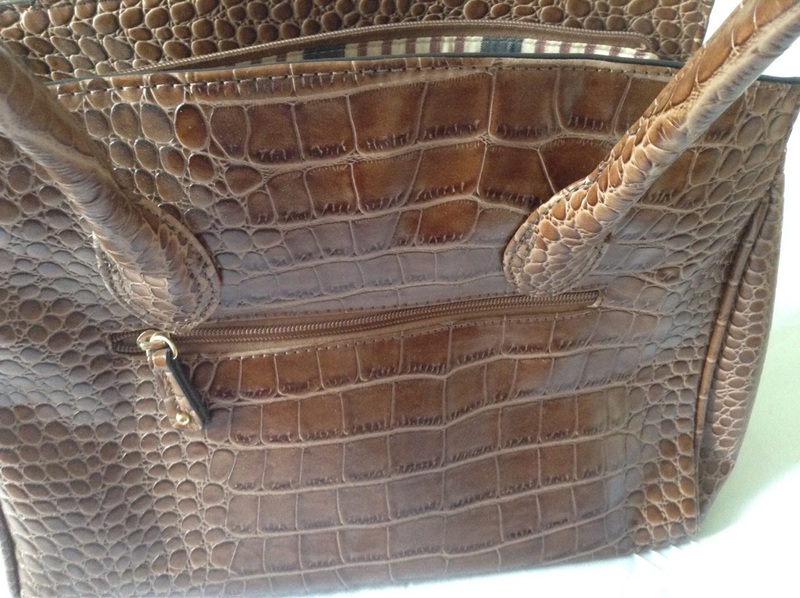 Brown leather look handbag. 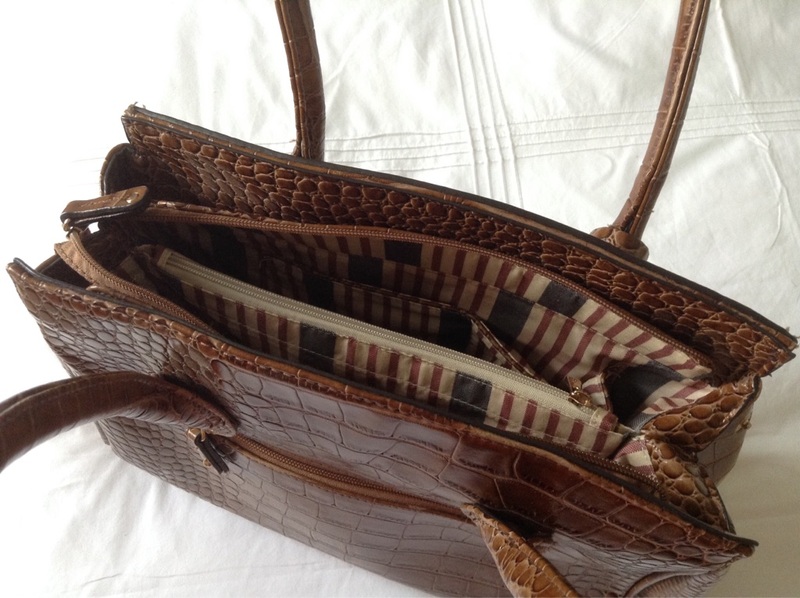 Zipped pockets inside with striped pattern material. 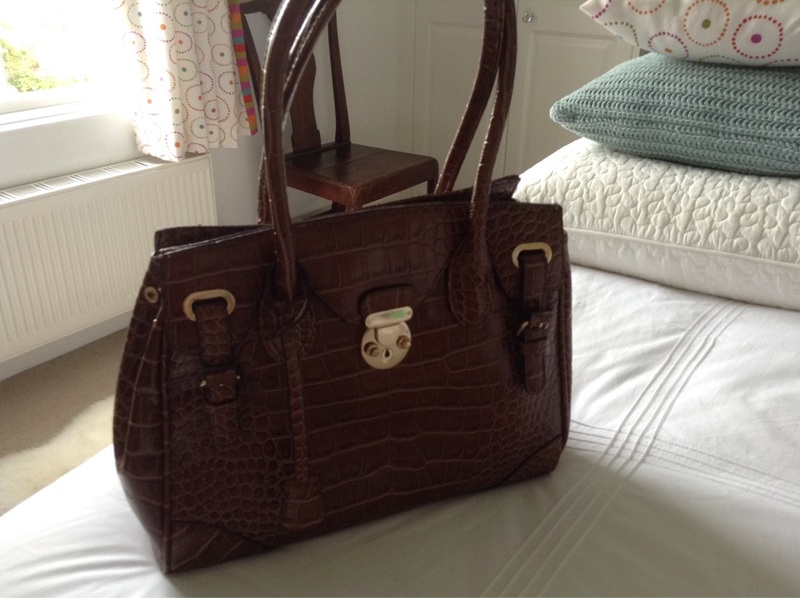 Zip fastening at top of the handbag.